What a day it is, the Sterling fell dramatically by more than 125 pips after the UK Prime Minister Theresa May stated she would step down if Parliament approves her withdrawal deal, which by the way was already rejected twice. The uncertainties over Brexit are supporting the US dollar as investors are keeping their investments out of British Pound and the safest currency left is the US dollar. At the moment, the market is trading Sterling with a sentiment that Theresa May will bring the third vote to Parliament in the coming days, despite lacking support for putting her Brexit deal to such a ballot. Britain has until April 12 to reach a consensus on Brexit. 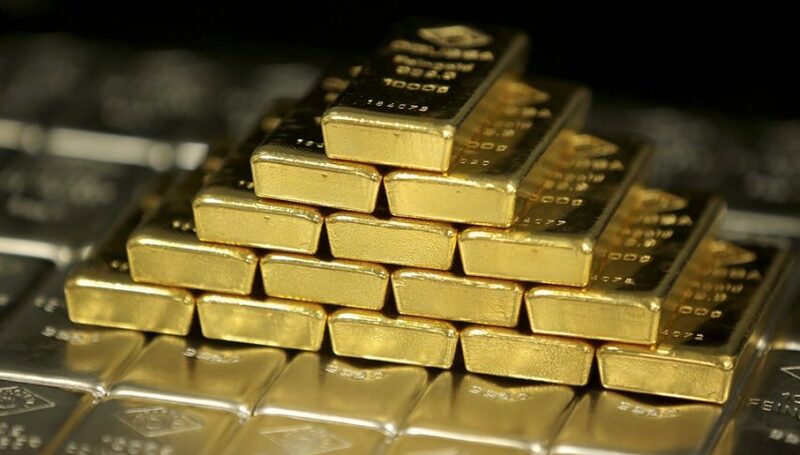 As discussed before, the Greenback trades bullish near a two-week high, causing a sell-off in the precious metal gold. How to Trade the Market Over US Final GDP? Today, the US economy is about to release one of the hottest economic events, and that’s the US Final GDP. The central bankers give high weight to the nation’s gross domestic product data to determine the supply of money in the market. A weaker GDP fuels odds of dovish monetary policy. While the stronger number leads to hawkish policy, thus making the currency stronger. Lately, the US Federal Reserve has indicated that they will be very patient with the next rate hikes. First, they lowered the three rate hike sentiment to two rate hikes and swiftly conferred no appetite to change monetary policy this year. 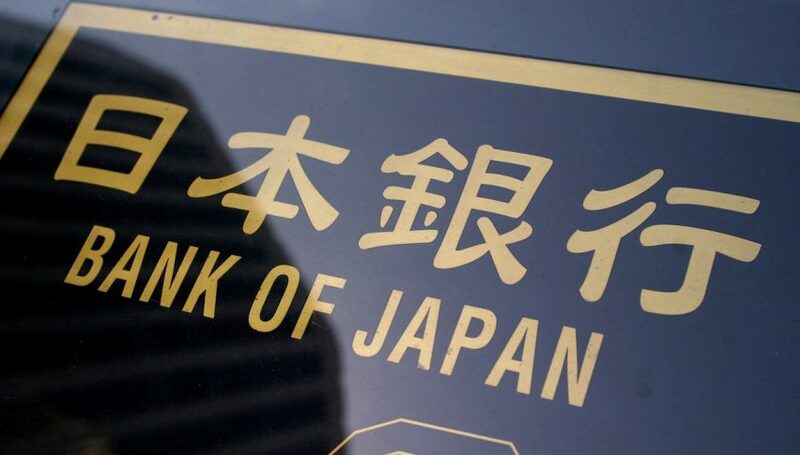 This indicates that the upcoming data might struggle due to the global economic slowdown and also due to the US-China trade war. Hence, the Q4 GDP from the United States is forecast to be revised lower from 2.6% to 2.4%. 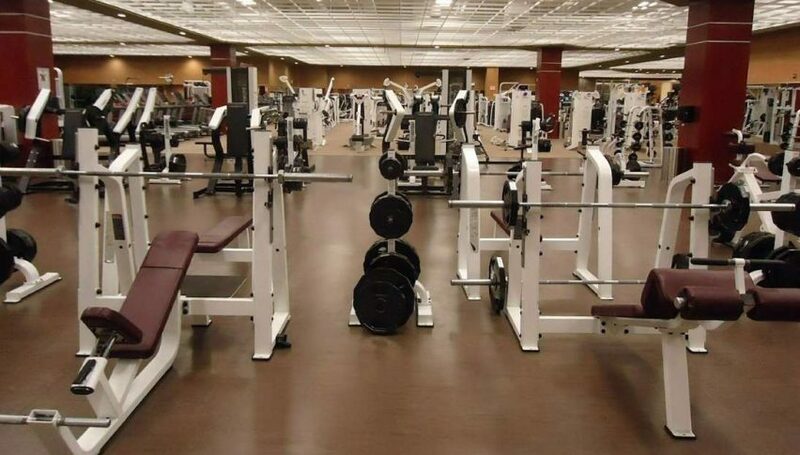 This may place a bearish pressure on the US dollar on Thursday. German Prelim CPI – is it Going to Keep its Positive Momentum? Lately, the miserable German Inflation data has taken a positive turn. In February the CPI figure rose by 0.5% vs. -0.8% beforehand. Economists are expecting another surge of 0.6% this month. The figure is higher than 0.4% previously. This can keep Euro supported today at least until the release of news. 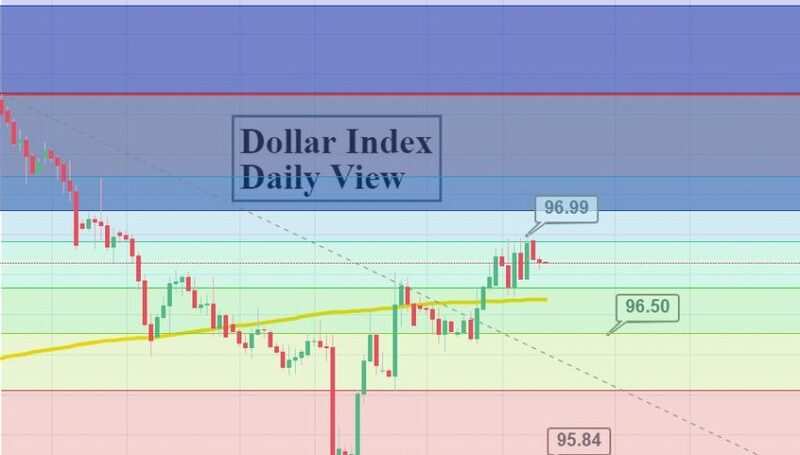 The dollar index has completed 61.8% retracement below $97 on the 4-hour timeframe, which signifies that the bulls may be exhausted and sellers are looming around the corner. The leading indicators such as RSI and Stochastic have entered the overbought region. 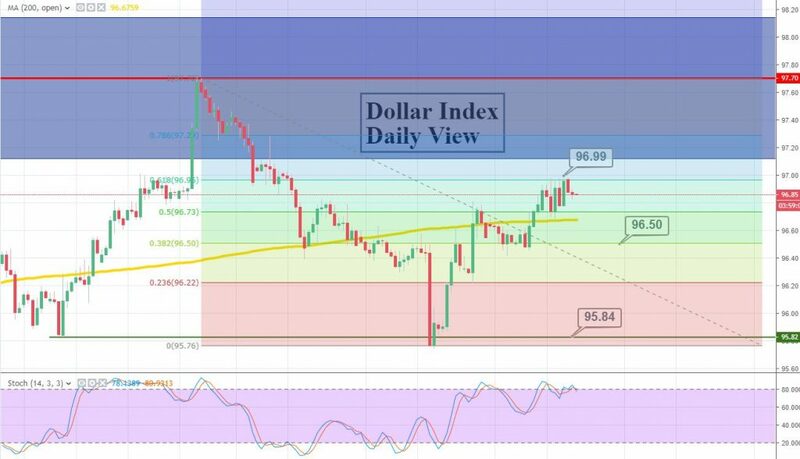 The dollar index (DXY) is likely to continue trading bearish until $96.70, and the violation of this may lead it towards $96.50. Good luck and keep following FX Leaders for another successful day.